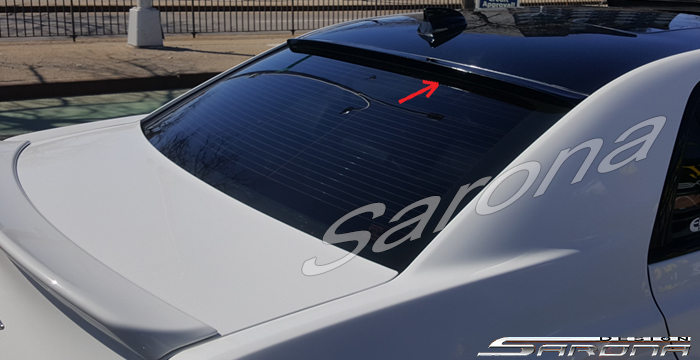 Sarona Fiberglass Roof Window Wing Spoiler 11-18 Chrysler 300 Sarona Fiberglass Rear Roof Wing Spoiler 11-18 Chrysler 300, Sarona Fiberglass Rear Roof Wing Spoiler 11-18 Chrysler 300C, Sarona Fiberglass Rear Roof Wing Spoiler 11-18 Chrysler 300S, Sarona CR-010-RW Wing, Chrysler 300 Rear Spoiler, Chrysler 300S Wing, [Sarona CR-010-RW Roof Spoiler] - $199.95 : 3rd Strike Performance, Your Source for Late Model MOPAR Performance Parts and Accessories! Includes Sarona Roof Spoiler. Fits 11-18 Chrysler 300.